The Hong Kong Gold Cup is one of the city's most important 2000m races. It attracts a quality line-up of premier middle-distance gallopers each year. Sponsored by the Citi Group since 2008, its international reputation has grown steadily in the past 11 years. 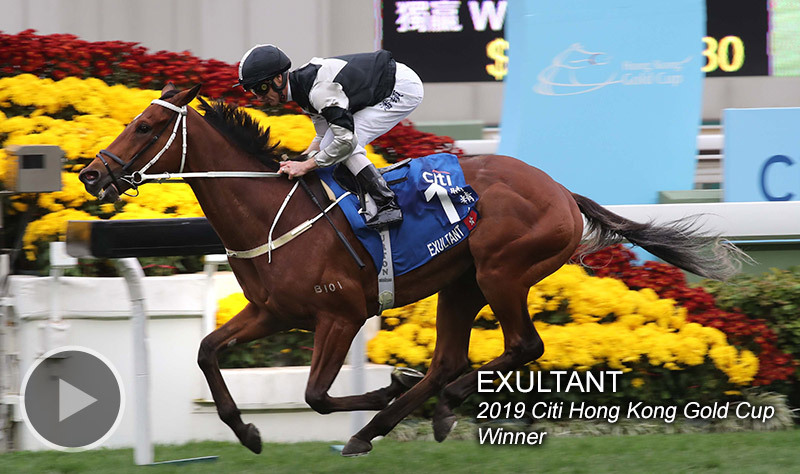 It became an international G1 race in the 2014/15 racing season with prize money totalling HK$10 million, and now enjoys a rising profile in the world.The Citi Hong Kong Gold Cup was ranked equal 29th in the list of World’s Top 100 G1s Races in 2018. Take a glance at the list of Hong Kong Gold Cup champions and you will find a host of star-studded gallopers such as Time Warp. The stylish winner of the G1 Hong Kong Cup (2000m) in December 2017 took out the Citi Hong Kong Gold Cup two months later in record-breaking time, becoming the first horse to break two minutes over 2000m on turf in the 40-year history of Sha Tin Racecourse. Other renowned champions in this premier contest include Indigenous, Bullish Luck, Vengeance Of Rain, Viva Pataca, Ambitious Dragon, Military Attack, Designs On Rome and Werther. The Hong Kong Gold Cup was first run in January 1979, soon after Sha Tin Racecourse opened in October 1978. The inaugural race was won by the Allan Chan-trained Observatory, under a fine ride by legendary Irish jockey Pat Eddery. Initially, the Hong Kong Gold Cup was run over 1800m. The distance was changed to 2000m in the 1992/93 racing season when the event became the second leg of the newly-established Hong Kong Triple Crown. River Verdon, Hong Kong racing’s only Triple Crown champion, won the Hong Kong Gold Cup for three consecutive years from 1992 to 1994, a record that no other runner has so far achieved. Click here for more details and offers from the sponsor Citibank.